Welcome to the website of Badacsony Real Estate ! The sale, purchase and acquisition of commercial, development and retail property on the north shore of Lake Balaton. Handling the sales purchase and acquisition transaction including registration on commission. We look for / offer properties on the north shore of Lake Balaton and neighbourhood, as well as mansions and country houses in the western part of Hungary. We are at your disposal upon previous notification every day of the week. 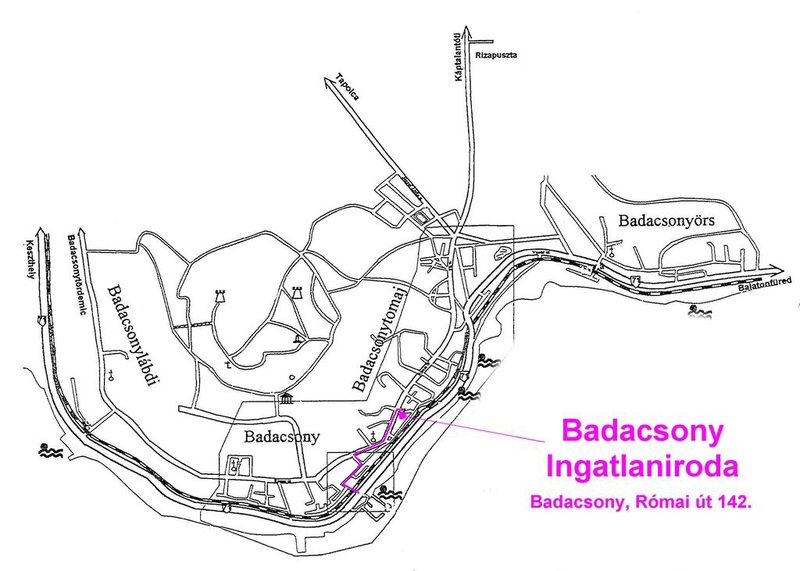 Address : Badacsony, Római út 142. The data reported about the real estates informative, we inform our clients about the accurate data in our office!